Captain Howard Hartman : King Kalakaua and R. L. Stevenson at Waikiki, 1889. 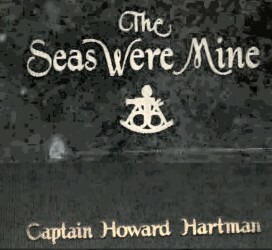 Hartman, Captain Howard: The Seas were Mine. 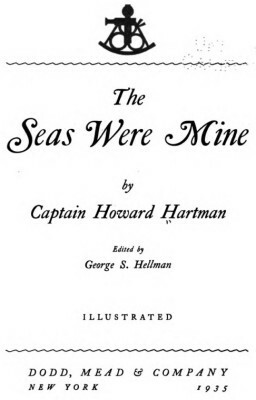 Edited by George S. Hellman. Dodd, Mead & Company, New York, 1935. 1888 Philadelphia Press - National Police Gazette : Sandwich Island Girl. The schooner Tiarhieva had a succession of fair winds and we arrived in Honolulu a month later. They wanted more news of it, and we were the first to bring photographs. As we entered the harbor we passed under the stern of the U.S. warship Adams and, saluting her, dropped anchor. We were immediately surrounded by all manner of craft. Among them was a smart whale-boat, manned by Kanakas in uniform. Capt. Monk recognized her as belonging to the brown King Kalakaua. When the boat came up to us Capt. Monk told me to lower the gangway. He said that a "writer chap, Stevenson" wanted to board us. I called some of the crew and carried out the order just as the whale-boat, with its famous occupant, drew up along the starboard quarter. The man standing in her stern handled the sweep oar with great skill. He was tall and gaunt, dressed in white duck that hung to his slender figure as if it had been thrown there. Waikiki Beach, where Stevenson lived at that time, consisted of a row of about twenty-five native Hawaiian dwellings as nearly alike as two peas. natural gardens behind a fringe of waving cocoanut palms fronting the ocean, and were occupied by foreigners with business in the Hawaiian Port. Honolulu at this time was just a quaint primitive out-of-the-way spot. and enjoy the national pastime of surf-board gliding. On the easterly end of the beach the extinct volcano, Diamond Head, rears itself to mark the turning point of the island, and from there the crescent beach sweeps westward to where the lofty mountains of Waianae shut out the horizon. King Kalahaua, and his court, drove out to the beach every day in polished victorias. Uniformed coachmen and footmen were in attendance, and, sometimes, the palace band. The glittering equipages, like tinsel, added an incongruous note to one of the loveliest spots in the South Seas. From where the Tiarhieva was anchored, I could see the long lines of snow-white surf roll in on the beach. I'd been to Waikiki Beach before and was entranced with it, and when Capt. Monk called me aft and ordered me to lower a boat, and man it, I was not long in doing so. After we landed, we had two and a half miles to walk. It seemed but a short distance. In a sparkling mood, Stevenson kept us interested all the way. He and Capt. Monk discussed Jim Benton (Pegleg Benton), the prototype for the character of John Silver in "Treasure Island." Monk had sailed with Benton and knew many interesting anecdotes about him. They also discussed the treasure on Cocos Island, and Capt. Monk told Stevenson he had a good chart of the island. The Captain and I had noticed a mysterious scratching noise coming from all parts of the room, sounding as if several people were furiously writing. "That noise," said Stevenson, "is made by the beetles feeding on My Lady Fanny's paste. She papered the walls, and the beetles like the paste." I looked around at the walls, papered with pink copies of the "Police Gazette," an illustrated weekly famous in those days. From a wood carving which I made on wood taken from the vessel herself. Geoff Cater (2017) : Captain Howard Hartman : King Kalakaua and R. L. Stevenson at Waikiki, 1889.